I’m a 5-th year PhD student at UCLA Vision Lab, working with Prof. Stefano Soatto. My research interests include computer vision, robotics and machine learning. Specifically, I’m interested in developing models (include, but not limited to, deep learning models) and engineering systems to solve real world problems in multi-sensor settings. I've obtained my B.Eng. from Zhejiang University, Hangzhou, China, 2014. I majored in Information and Electronic Engineering in undergraduate, and I was fortunate enough to be a member of the Advanced honor Class of Engineering Education (ACEE), where I mostly enjoyed in mathematical modeling contests, and chatting with friends from other departments of the engineering school. Back in primary school, I taught myself QBasic on a Pentium 4 desktop owned by my dad, and was never be able to write a useful spreadsheet application as my dad always joked about. Visual-Inertial Navigation and Semantic Mapping System @ CVPR 2016. Visual-Inertial Navigation, Mapping and Loop Closure @ SCR 2016. Re-localization and Failure Recovery for SLAM. Inertial-aided Visual Perception for Localization, Mapping, and Detection, at Facebook, Microsoft, and MagicLeap, 2019. Visual-Inertial-Semantic Scene Representation, at Bridges to 3D Workshop, CVPR 2017. Spring 2018. CS M152A, Introductory Digital Design Laboratory. 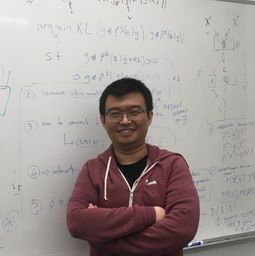 In undergraduate, I was a TA of the graduate class taught by Prof. Xianyi Gong at Zhejiang University on Spectral Analysis of Signals – mostly solving problem sets of the Linear Estimaion book, and leading discussions. Hi, guys! This is Xiaohan's personal website powered by Jekyll and GitHub.